You need to shop for clothes. You may love it, you may hate it, but unless you are living full-time in a nudist colony you need to buy clothes. And whether you love it or hate it the end goal is to come home with purchases that you love and will wear. So why do you have stuff in your closet with tags on it? We all have TOO MUCH STUFF, and specifically I mean TOO MUCH STUFF IN OUR CLOSETS. The simple truth is that we are regular people. We are not celebrities who cannot be photographed in the same thing. There is no paparazzi following us around while we go grab our coffee and our dry cleaning. Our lives are not structured that we get to wear everything we own. Now I am not suggesting you stop shopping and give up. What I am telling you is to curate carefully. How do we curate carefully? Much like a museum curator you can’t take it all. It won’t all fit in our closets and too much stuff leads to chaos. When we have too many choices we can’t see the forest from the trees. It gets overwhelming. Then we give up. We reach for the same old thing. To come up with a wardrobe filled with only stuff you love and will actually wear you need to edit out the items that are not working (see my previous post for help). Then you need to shop with the eye of a curator. This sounds harder than it really is. There is one question that can make this process super easy. I ask my clients this question all the time when we are editing their closets. You can ask yourself the same thing when you are out shopping. 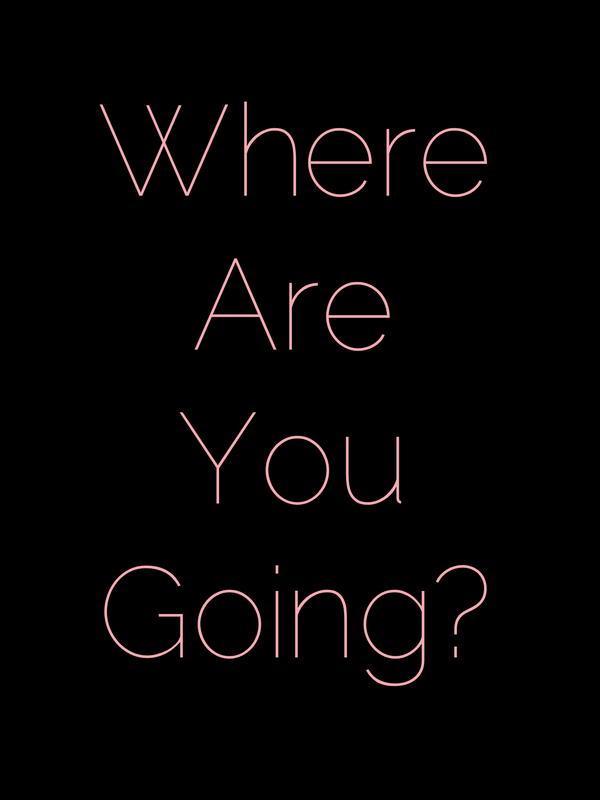 It is a simple question but you have to be honest with yourself if you want to answer it truthfully. You should be able to think of at least 3 ways/places/occasions that you can wear an item to before you select it as an addition to your wardrobe. Some people shop in a state of almost unconsciousness, the throw things into our cart because they like them. Other people are results oriented shoppers. They went out to the store to buy something so they settle for whatever it is that is there in order to fulfill their initial objective of going out to go shopping. Still others, usually those who dislike shopping, go out of necessity. They have an event or a specific occasion. So they pick the first thing that fulfills that immediate need, without thought to how they will, or even if they will, use it in the future. Where did Lola go wrong? First, she tried to go too far out of her comfort zone. It’s great to go for something a little different but don’t buy something just because you think you are “supposed” to. Lola already is fun, she doesn’t need a top to make that statement for her. Second, she should have stopped herself right there and asked where she was going to wear that top again. If it seemed like a one time wear she should have moved on. for the Friday night if she puts them with one of her t-shirts, cute necklace and heels. She can also wear them with converse sneakers and a gray t-shirt to a baseball game, as well as a cute button down for a volunteer day at the kid’s school. The hardest part about conscious shopping is coming to terms with our reality. I have long wanted to cream cable knit wool fisherman sweater. I want to wear it with my Hunter wellie boots and Barbour rain jacket while I am walking with my Foxhound named Chester on the grounds of Madonna’s country estate in England. Madonna herself will come by on her horse and tell me that it is time for high tea. I will then go in to my guest house and change into the perfect Chanel suit to have tea with Madonna and Victoria Beckham. Except I don’t know these people. I have no plans to go to England. My dog is a beagle who likes to sleep, not go for walks. This is why the only piece of this fantasy I own is the Hunter wellies. And I wear them all the time. In the slushy sleet to drive the kids to school, when it is pouring rain and I am at the grocery store, on the beaches in New Jersey. It is my real life. I have other fantasy purchases. Rock star girlfriend on tour, screen star in St. Tropez yacht, I could go on and on. 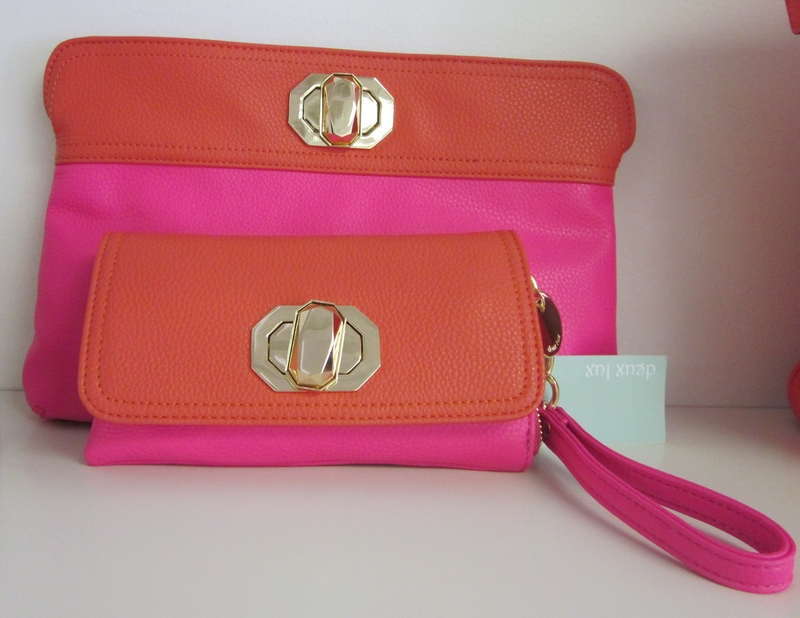 The key is not give up on the things you love but to find ways to incorporate them into more of your everyday wardrobe. Then you can live out a piece of the fantasy every day. *Insider Tip – Don’t be afraid to repeat. I know in the age of Facebook and Instagram it seems like a great outfit is a one and done. It doesn’t have to be. Most people can’t remember what they wore last week let alone what you were wearing. Kate Middleton is the perfect example, and EVERYONE is looking at everything she is wearing. Yet she has repeated some of her best dresses a few times. I’d say if she can do it we all definitely can do it. The black lace dress from Temperly has been to 3 separate events. Actress Keira Knightly wore her favorite Chanel dress 3 times. First on the red carpet, then to her own wedding and most recently adding a beaded mesh top underneath the dress for a completely different look. *Insider Tip – Don’t be afraid to remix. One of my favorite things to do is to help clients shop their own closets. I take the pieces you already own and remix them into new outfit combinations. We all get in the habit of labeling certain items. This skirt is “dressy”, this jacket is “preppy”. I can help you take away the labels and remix them into more options. Model Miranda Kerr wears her leather pants sleek with all black, casual with denim and sneaks and funky with a hat and tweed. 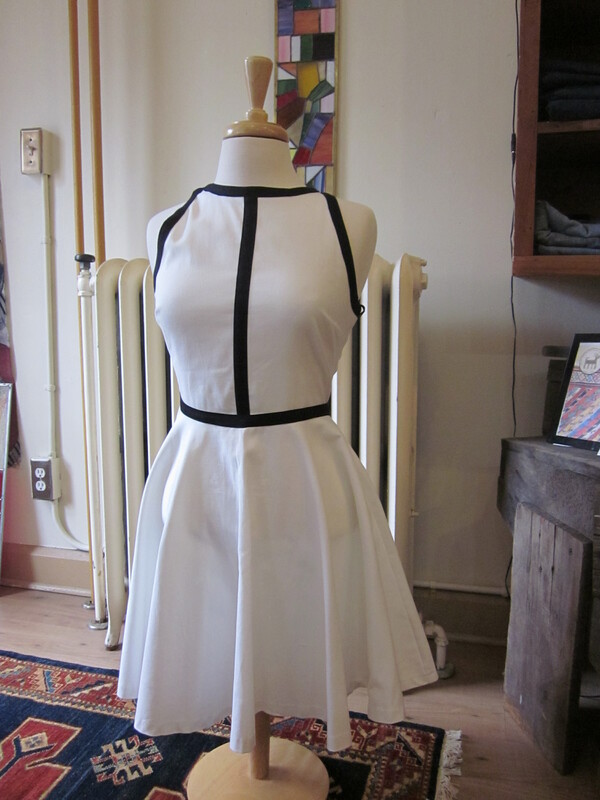 Here is a simple stripe dress I re-mixed for a client. First I made casual and then remixed the accessories for an evening look. So the next time you go shopping don’t forget to bring with you the one question you will need. 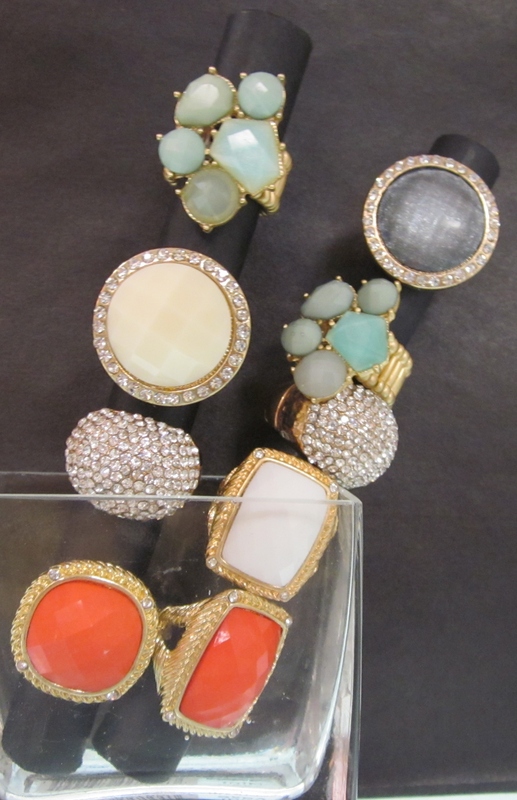 Now get out there and get some fabulous pieces for spring, and make sure you WEAR them! Nothing makes my head swivel faster than a shiny sequin. It can become quite the problem because I am easily distracted by anything sparkly. Then the distraction is followed by this “I HAVE TO HAVE IT” mentality. It’s as if I fear a shortage of glitter and the need to stockpile it in my wardrobe. Too much bling is NOT a good thing. Like many of my own clients, I don’t like to admit I have a problem. Many people don’t realize they are hoarding a certain type of style. That is until we complete the wardrobe audit. Only then does it become obvious what the addiction is. For some people it is the color black. 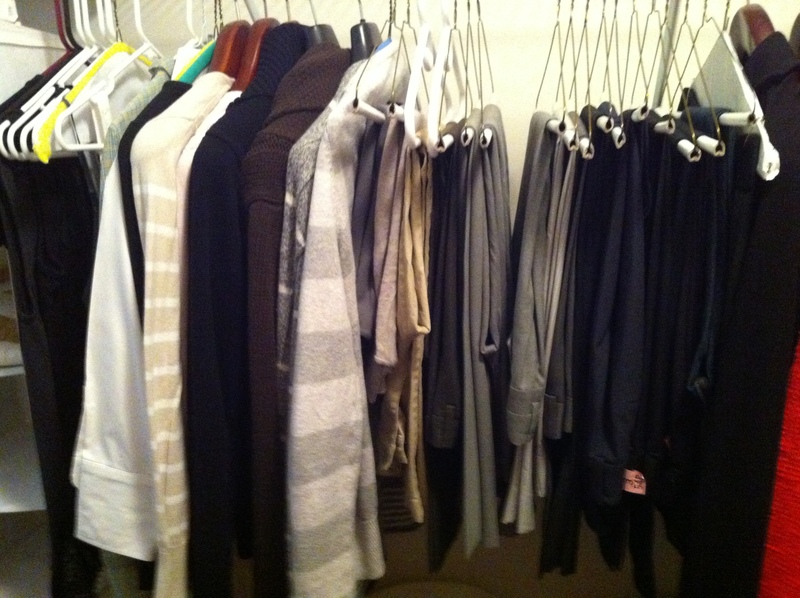 When faced with an assortment of sweaters the safe choice always feels like black. The problem is when you get it home and you have 8 other black sweaters. 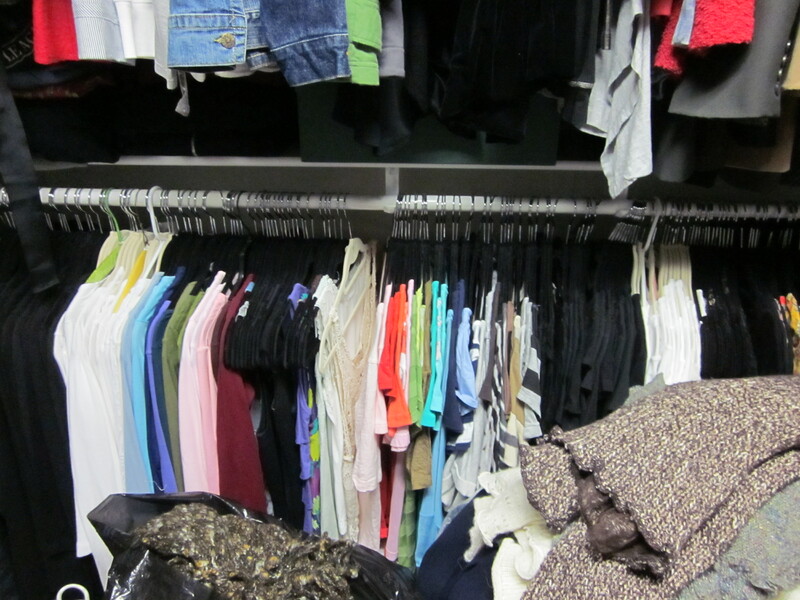 The best way to do this is to remove the contents of your closet and sort by type and color. This is at the very heart of a wardrobe audit. I take it all out and regroup. It isn’t always as obvious as sequins, or an animal print addiction. The common theme could be an over abundance of long sleeve v-necks, all plain. Sometimes, it is an obvious lack of an item, like all pants but not one dress. Having too much of the same thing usually means one of two things is going on. 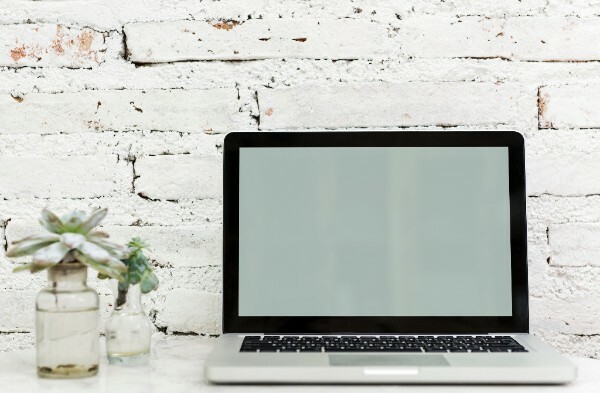 Either you keep buying the same item because you have yet to find the one you really love, or, you are stuck in with a style habit, where it is easiest to keep buying and wearing what you are used to. With regard to a lack of a certain style, maybe it’s time to rethink your thinking. Women have a tendency to label themselves and say things like “Oh, my legs are horrible, I could never wear a skirt.” But ask yourself when was the last time you tried one. Today there are limitless styles and options. Is it is because you are petite, and the off the rack skirts always seem too long? What about asking a tailor to nip the skirt up an inch or two, to get a custom look fit for your shape and height. Human beings are creatures of habit. We are drawn toward the things we already know we love. For me that would be things of the shiny and sparkly variety. The Solution? It’s this week’s *Insider Tip – Follow the One in One out rule. Now you know what you have too much of, and hopefully why. This does not mean you have to give up your style, or what you love. I will never stop loving, and buying, garments that look like they have their own party going on. But given the fact that I am not a 20-year-old rock star, I have to consider the wearability of sequins, versus my investment cost. In order to keep my habit in check I follow a strict ONE IN ONE OUT rule. If I bring home a new item that fits my pattern addiction, I have to get rid of one that it’s in my closet. Sounds harsh, because I may love them all, but you don’t want to overdose. Sometimes you may find that you keep buying black jackets because you really don’t love any of the ones that you already own. If that’s the case DO NOT settle. Wait to buy one that you ABSOLUTELY LOVE. Then bring it home and get rid of the all the so-so options in your closet. If you finally buy a skirt, give up a pair of pants that has been well-loved but has seen their time. 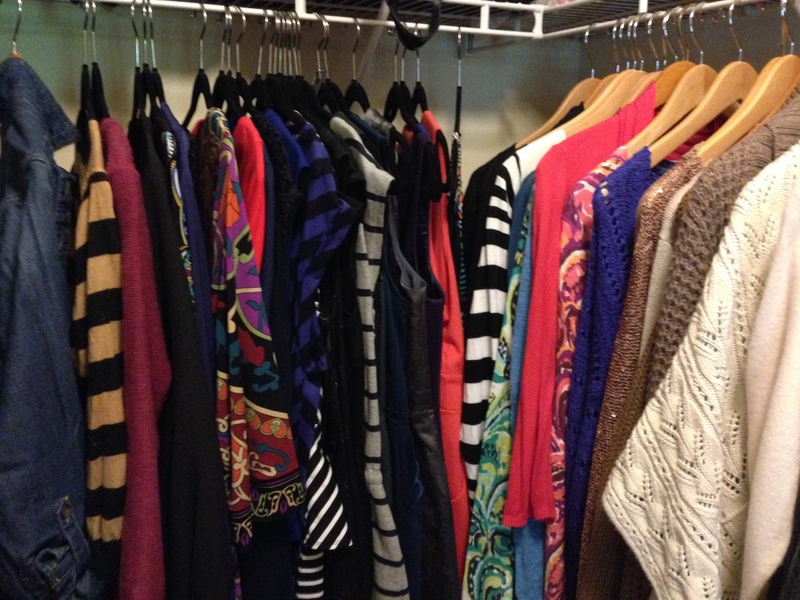 A well diversified closet will reflect a certain amount of signature style, while remaining versatile and uncluttered. Sometimes going a little bit out of our comfort zones can lead to big changes in our style. Remember, with regards to stuff, less is ALWAYS more. This shoe is business up front and party at the back, a mullet shoe. If I could marry a shoe then we’d be on our honeymoon right now. I splurged on these from Ashley Austin. They go with everything. Seriously, everything. Did I mention there is glitter? Last year I had the amazing opportunity to attend a presentation by Bobbie Thomas, a fashion and style expert. Even better I got to meet her afterwards and she is a total girls’ girl. Super nice, funny, and willing to share all her tips and tricks. She has put all her know-how into a guide aimed at helping you find and express the best version of you. I ordered the book last week and absolutely love it. You can read more about Bobbie on her website, www.bobbie.com, and on my post from last year, A Happy Closet. I know, I hate swim suit shopping too. But I stumbled upon this amazing bikini top at the H&M store. It is fabulous for mulitiple reasons. The tops can be purchased separately from the bottoms, just in case you weren’t created from a perfectly symmetrical mold. The top uses bra sizing, from 32A from 36D, much more accurate that the xs – xl system. There is underwire support and padding, for those of us who may or may not resemble a tribal woman in a National Geographic photo shoot. The very best part? The top is $14.95. Hallelujah. Ben and Jerry’s blueberry yogurt graham cracker ice cream. I’m totally addicted. I keep eating this at an alarming rate. I will have to post the above pic of the bikini on my freezer to keep my cravings at bay. But you have to try it! If your May is feeling crazy too, make sure to take some time for yourself. Treat yourself to something that makes you feel better about how you look. Maybe a new nail polish color? A new white pair of jeans? 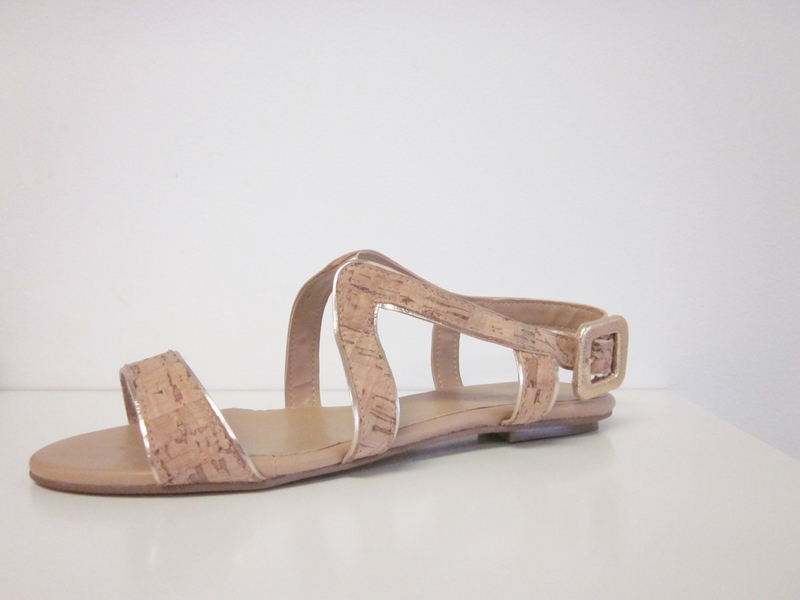 Maybe a fabulous summer sandal! It’s a great way to get in the mood for summer. It sounds indulgent but when you feel good about how you look it transforms your whole mood. What are your favorites for the month of May? Anything on your mush-have list? Share with me your own insider tips for May! I’d love to hear it! Spring is a time of renewal…especially for your wardrobe! There is no better time than RIGHT NOW to replenish and refresh. Trust me, if you wait until summer, you won’t be able to find what you are looking for. 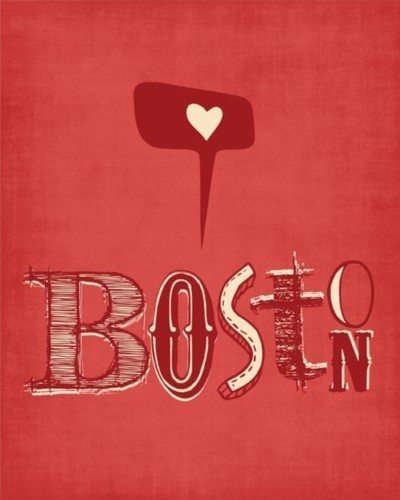 And if you live locally? 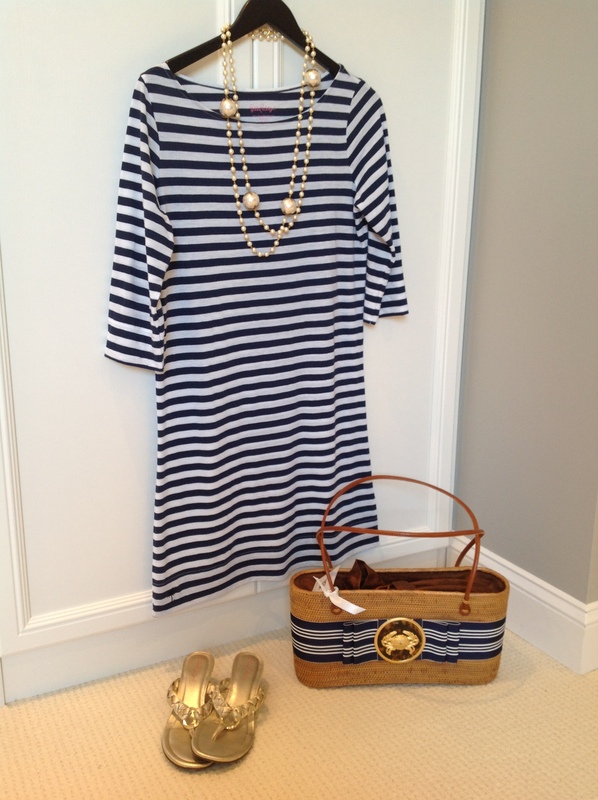 You won’t want to miss the Spring Shopping event at Ashley Austin and Chantilly Blue. Two stores, one night, and multiple fabulous sales and specials. I stopped in today for a quick preview and here are the items on my wish list! This outfit from Chantilly Blue. White eyelet is always fresh for spring and summer. I love it back to a perfectly faded blue jean. Then take it into a casual date night outfit with these heels! The next outfit I am crushing on starts with this dress. What is not to love? Black and white is always so chic! Don’t forget to add the perfect bag! I am drooling. It is gold. And sparkling. And BIG. Need help on putting the complete outfit together? 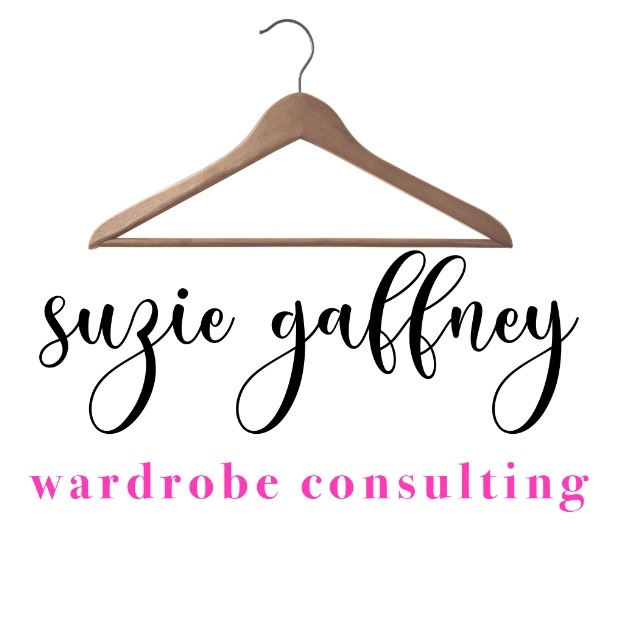 From head to toe I can help you get the look you want for Spring! Come see me at Chantilly Blue and Ashley Austin. I will be happy to help! 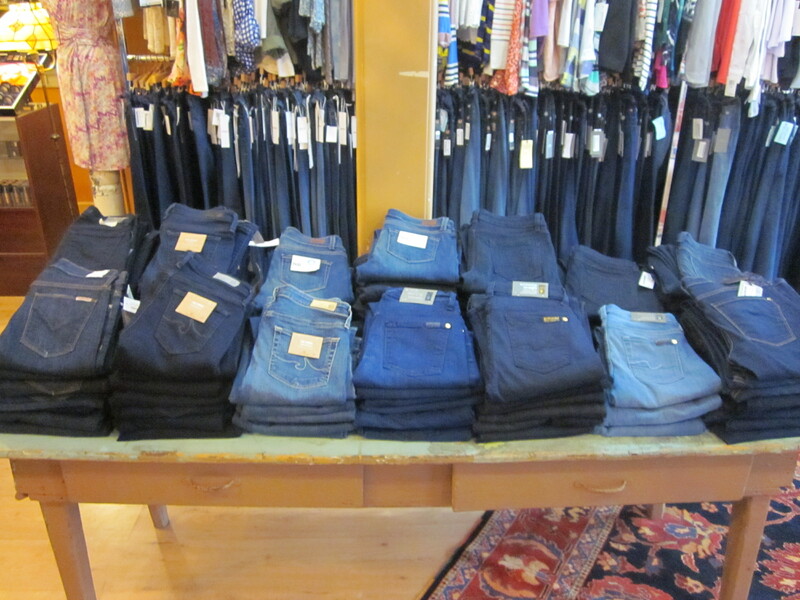 Lisa at Chantilly Blue gave me the heads up that there will be denim on sale, some bootcuts will be 25% off!! 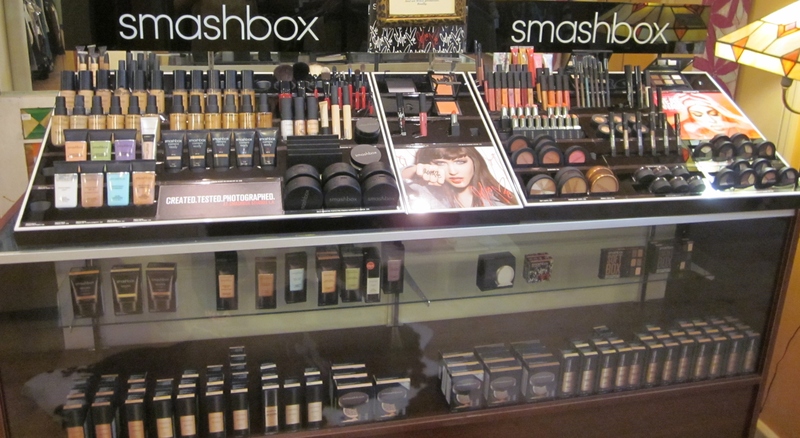 And don’t forget she has Smashbox makeup and a makeup artist on hand for you to get glowing. These go with everything and anything. They are super comfy. And they are priced very reasonable. So you can buy two 🙂 Again, I’ll let you decide if you want to share.